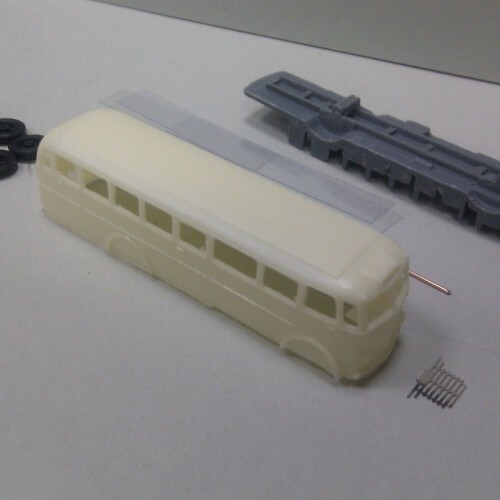 The photo model is made with the use parts of the set. 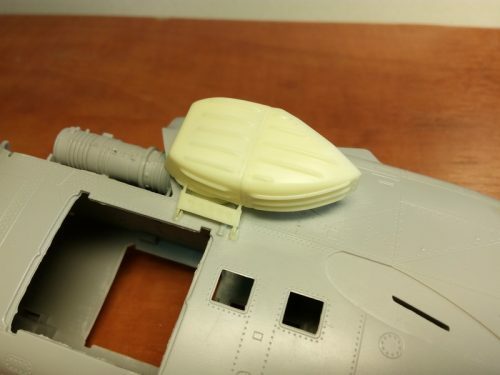 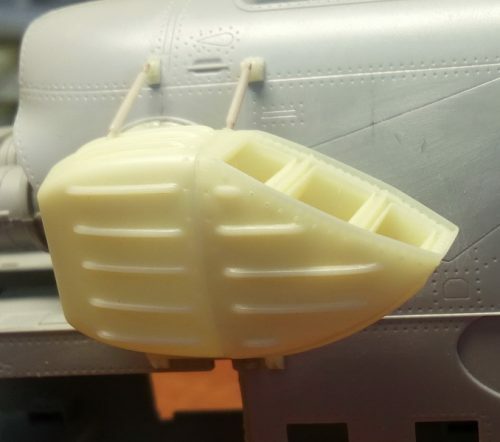 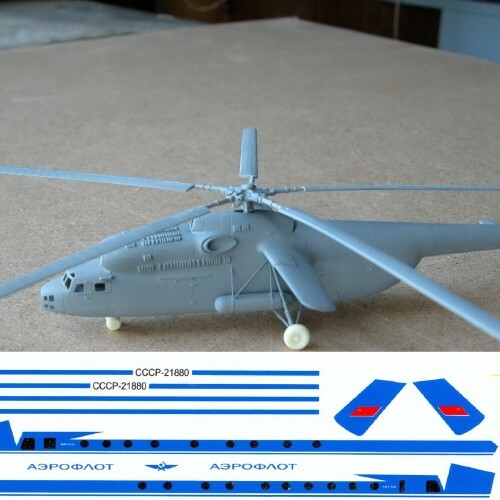 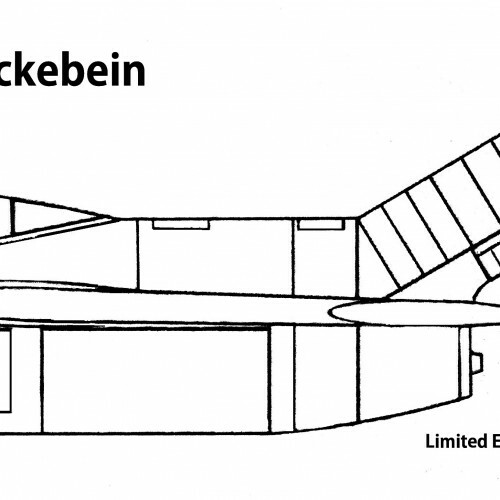 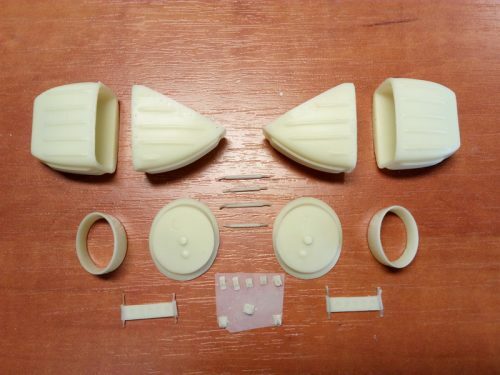 Used for setting on the model of 1:35 Mi-24 (Trumpeter). 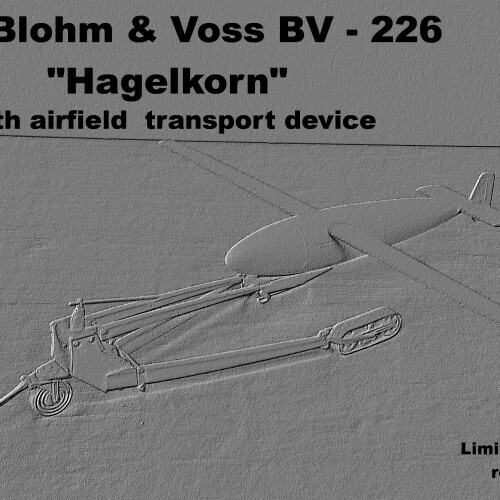 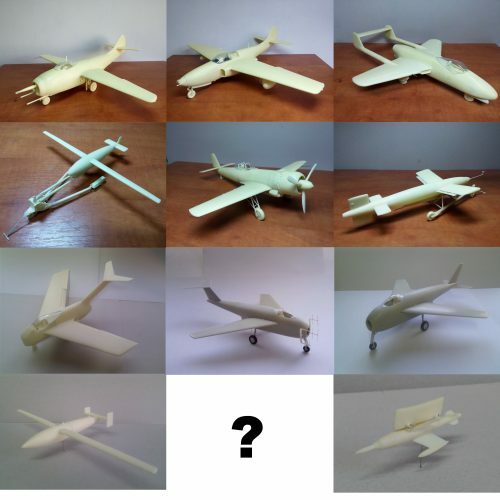 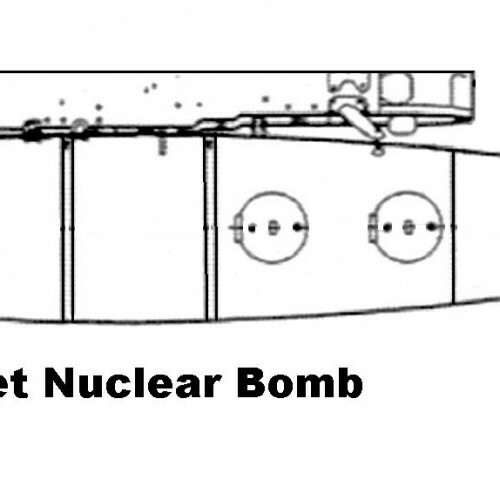 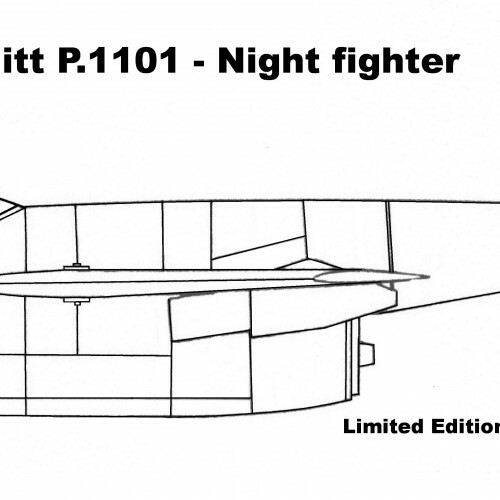 Setting of kit is possible on a complete model. 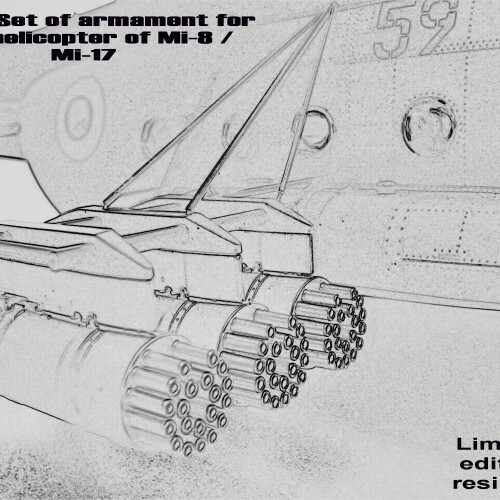 In the kit, a schematic drawing with the details installed. 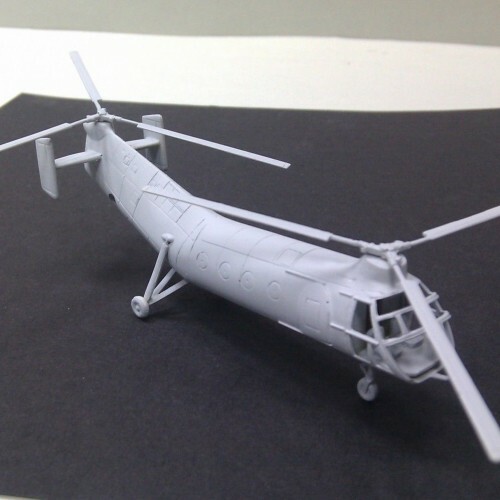 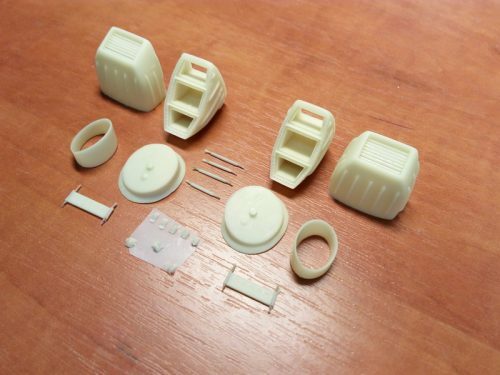 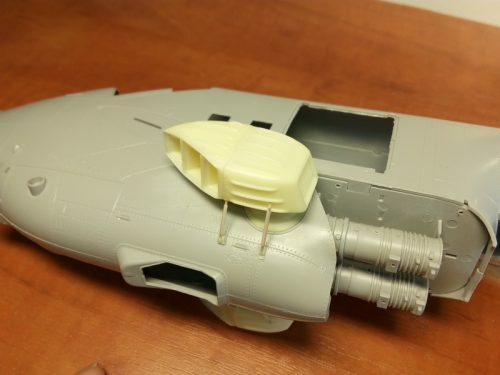 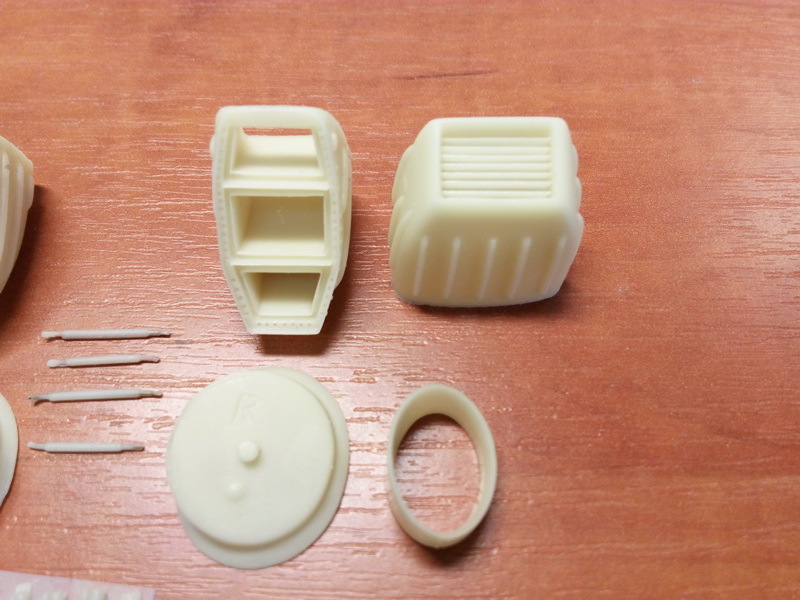 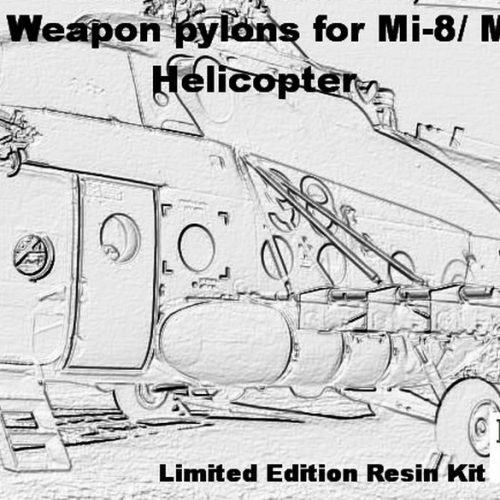 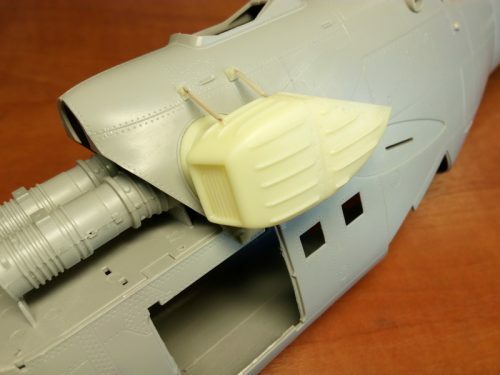 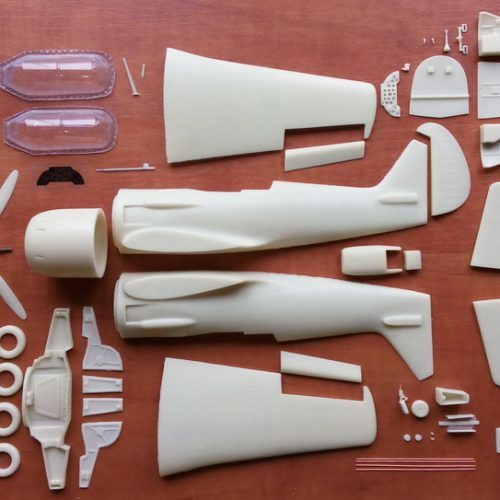 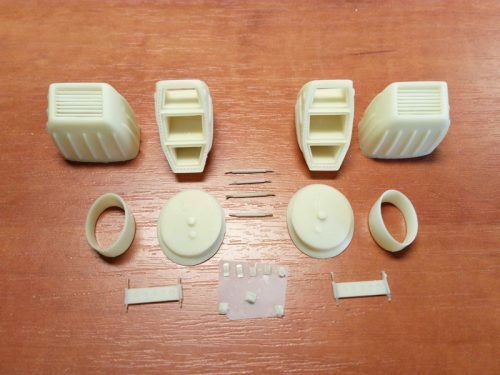 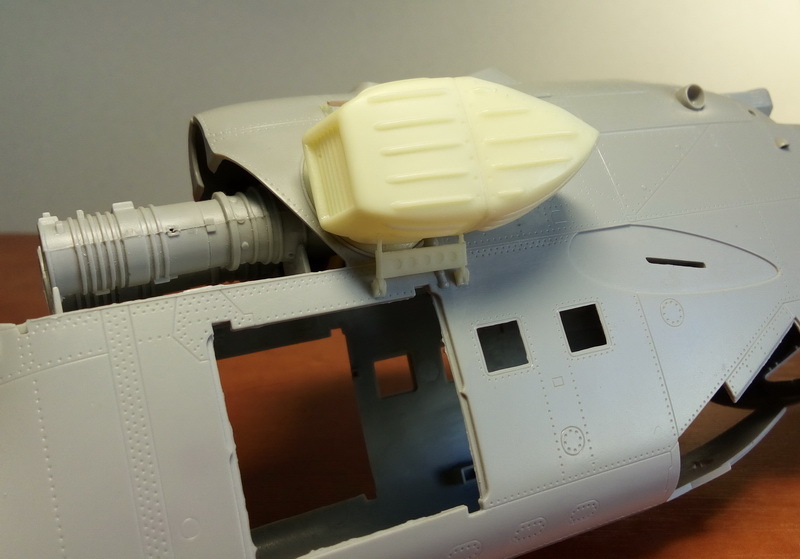 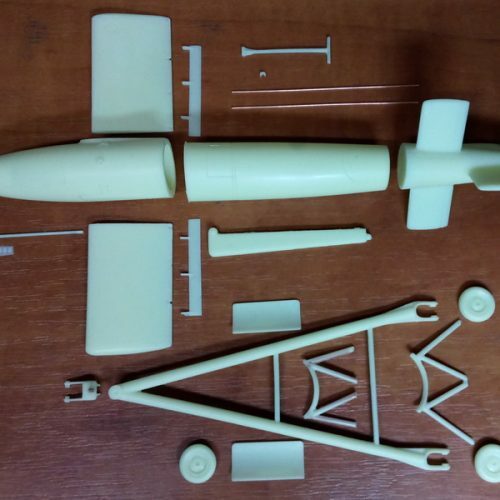 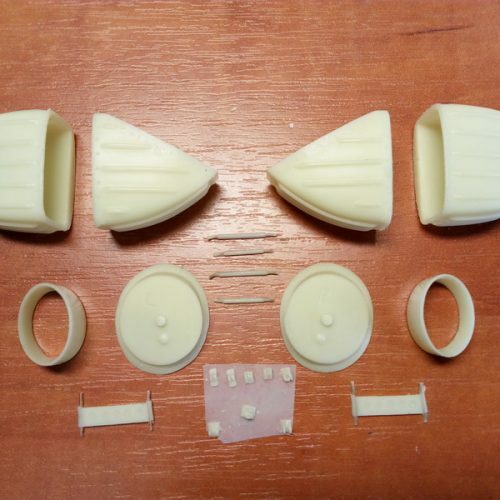 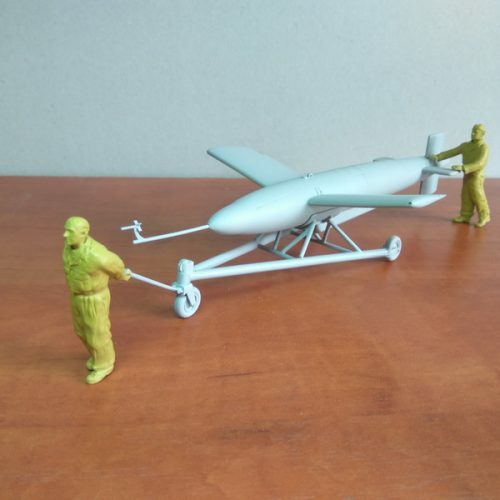 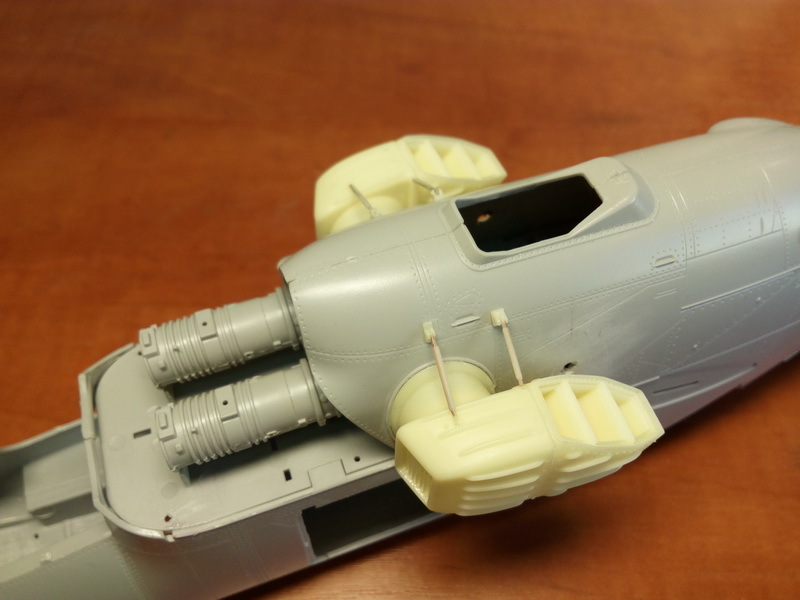 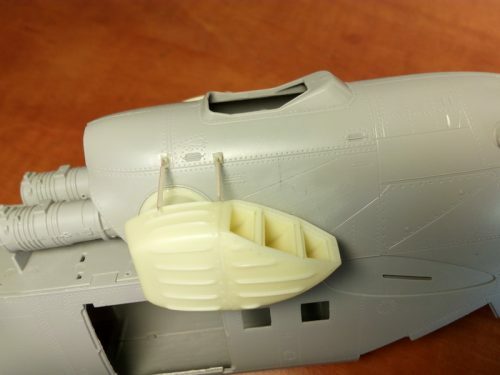 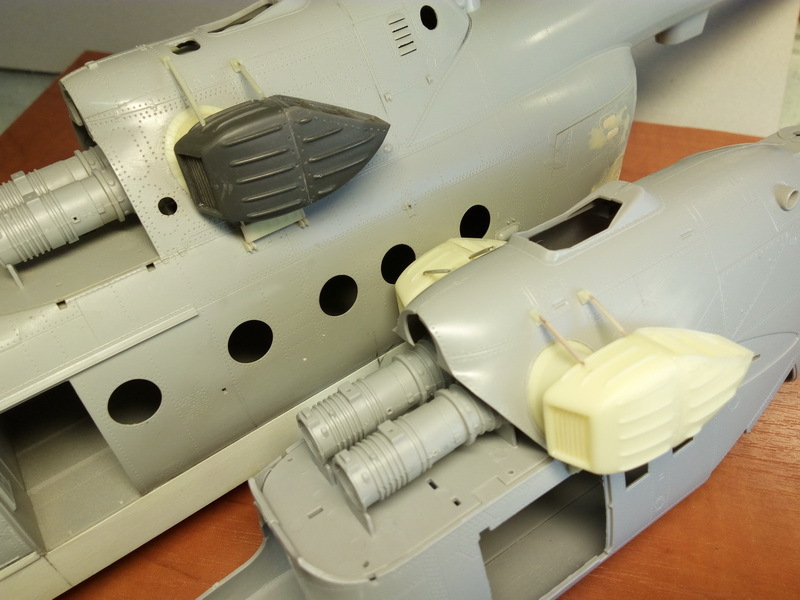 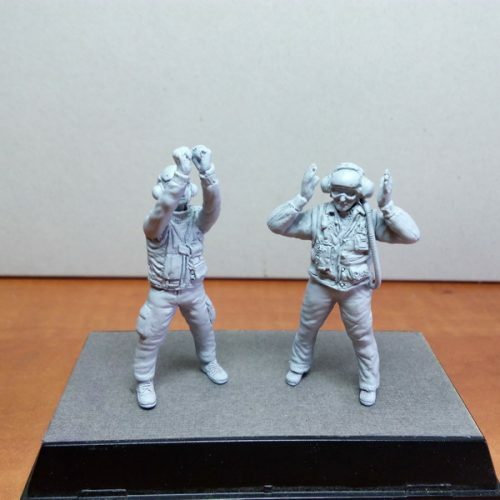 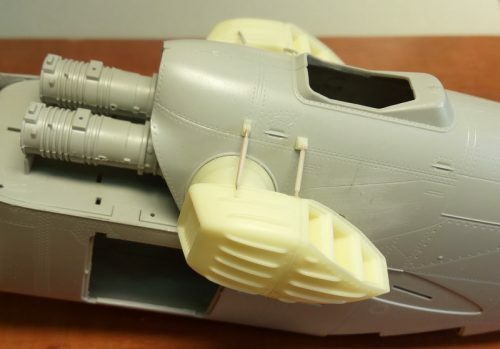 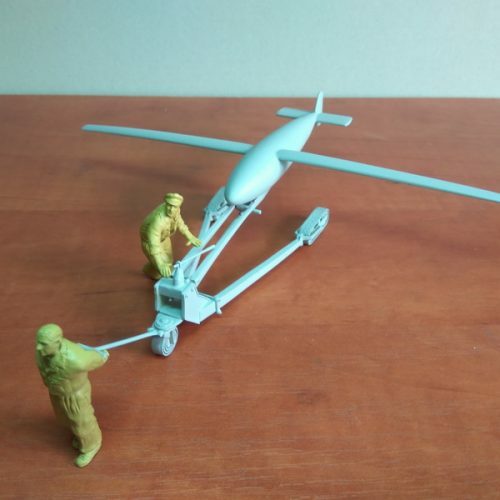 The model Mi-24 is not included, only the resin parts .